Whether you make a single donation or join our community of regular givers, you’ll be making a difference in the lives of people in desperate need. Gather your friends, host an event and help raise funds to support those who need essential surgeries. Volunteering with Mercy Ships will not only change the lives of those you serve, it will change you. Join our mission by jumping on board. 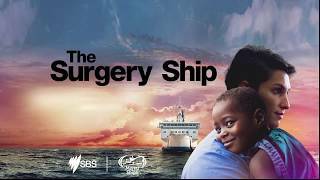 Watch as a crew of world class medical volunteers from Australia and across the globe face the biggest challenges of their lives. Learn more about the lives changed and the volunteers making a difference on board The Surgery Ship. See what the crew got up to behind the scenes while on location in West Africa. We’re excited to share with you our latest gift guide that is filled with unique and wonderful charity gifts, including some of our Mercy Ships merchandise. Each gift has the power to really change a life – to offer the gift of sight, the ability to walk, freedom from pain and, most importantly, the chance at a full and productive life. All of these gifts keep on giving because they will put a smile on the face of your loved one AND they will bring joy to people living in poverty who can receive the care they desperately need. Mercy Ships has transformed the lives of more than 2.6 million people in the least developed countries for 40 years. Because over 50% of the world's population lives within 160km of the coast, we’re able to sail a modern hospital ship with a crew of 400 volunteers directly to people who lack access to first-rate medical care. 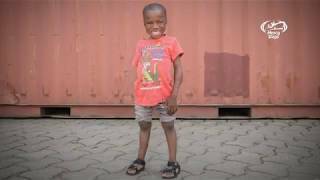 Every patient has a name, a face, and a story and Mercy Ships transforms their lives by providing surgery and medical care. We hold regular fundraising events to help change the lives of the desperate poor. Please see our latest events here. Meet our volunteers, read the latest news and learn more about what Mercy Ships is doing in the field through The Mercy Blog. Stay up to date with the latest news and updates from Mercy Ships, including events, volunteer opportunities and life changing stories of hope. Mercy Ships uses hospital ships to deliver free, world-class health care services, capacity building and sustainable development aid to those without access in the developing world. Founded in 1978, Mercy Ships has worked in more than 70 countries providing services valued at more than $1 billion, with more than 2.6 million direct beneficiaries. Each year, more than 1,200 volunteers from over 40 nations serve with Mercy Ships. Not everyone is able to volunteer on board the Mercy Ship, but you can still make a valuable contribution by helping us raise funds. Find out how you can start your own fundraising campaign and help end the suffering of those unable to access safe, affordable surgery and health care.